You must make reservations at least 5 minutes in advance of the time at Loft Bar and Bistro. There are many places to park within walking distance from us. The surface parking lots that are closest to us, City Park, do not except any validations. The closest parking lot that we validate for is Pavilion Garage, just past 2nd St. and San Fernando on your right. Safeway also has there own garage, bewteen 2nd St and 3rd, but you must get validation from Safeway. We also validate for the multi-level garage between 2nd and 3rd on San Carlos and 4th St garage on San Fernando. Lightrail runs in front of Loft, exit at Santa Clara Station on 1st St. or 2nd St.
Loft has live entertainment and DJs at scheduled times. They are available to hire for any special event (wedding reception, holiday party, birthday parties, etc). Our brainstormer pub quiz is a lot of fun with prizes for the winners. Our jazz night is a wonderful way to relax. The DJs play a variety of music to listen or dance to. We also have 3 HD TVs to observe sporting events. Loft has catering available in the direct vicinity of the restaurant. We create custom menus specifically tailored to your theme or needs. We can either perform full service or we can drop-off. For drop-offs we can also do set-up and break-down with a service charge. 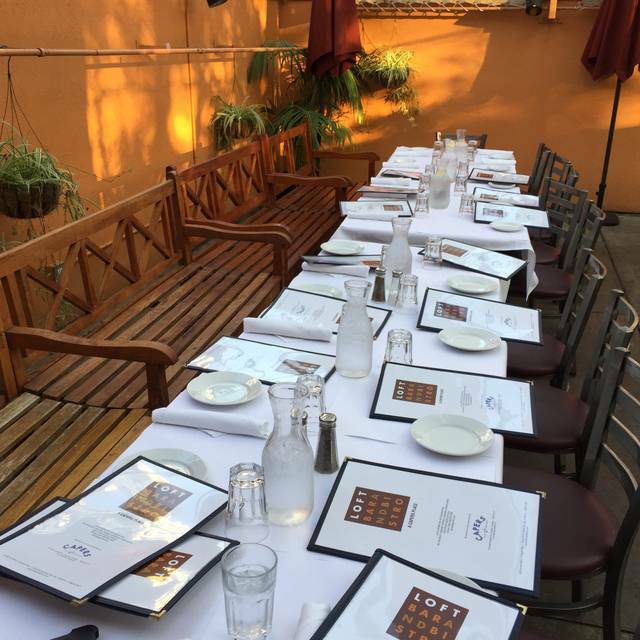 Lease refer to our banquet menus to give you an idea of what we offer. Bear in mind some of our banquet dishes are not available for offsite catering. Pricing is determined by what type of function you are hosting. Loft is American bistro dining at it's finest in a chic, relaxed atmosphere. 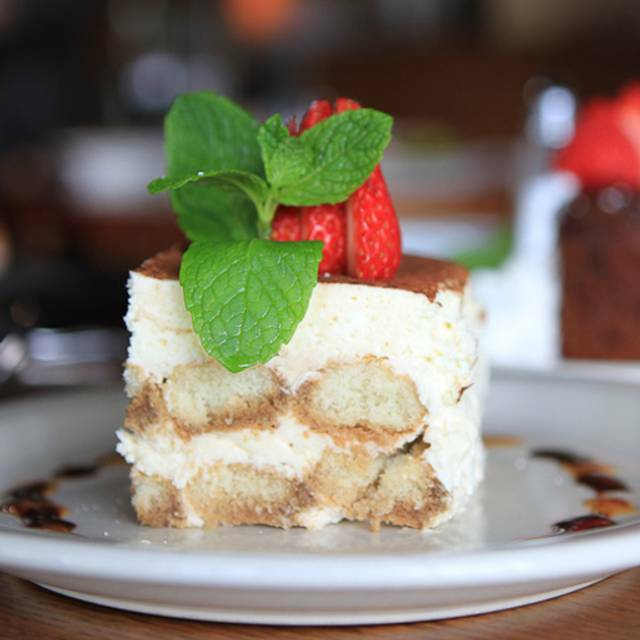 We serve lunch and dinner daily with an added brunch menu for Sundays. 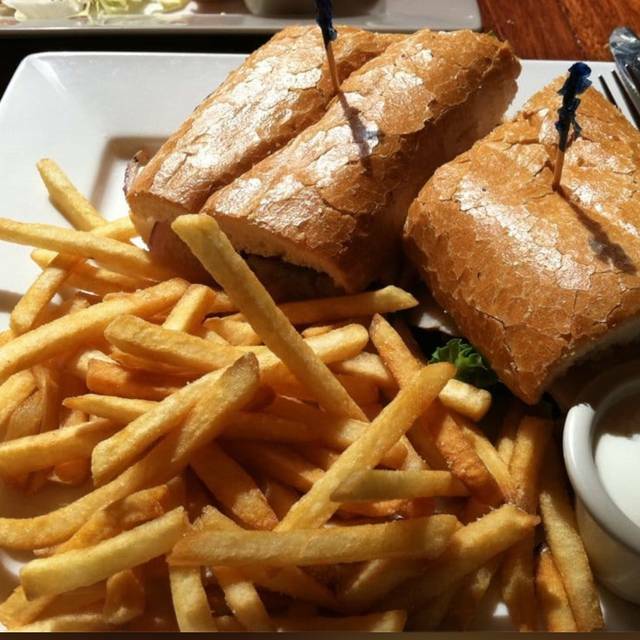 We have a wonderful assortment of appetizers, salads, sandwiches, steaks, seafood, pastas with something for everyone on the menu. 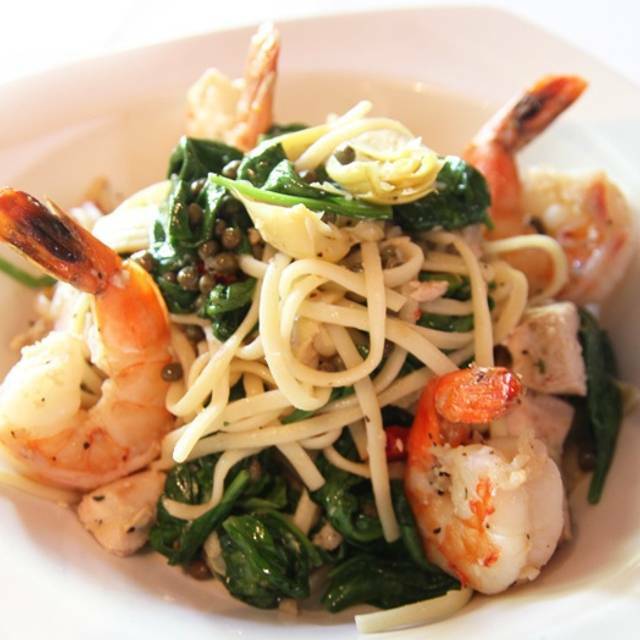 Some of our signature dishes include crispy calamari, carpaccio, roast artichoke, NY steak, meatloaf;etc. Loft's wine list feature California wines that pair well with all our cuisine. Our spacious bars are stocked with premium liquors, specialty cocktails, signature martinis and mojitos. 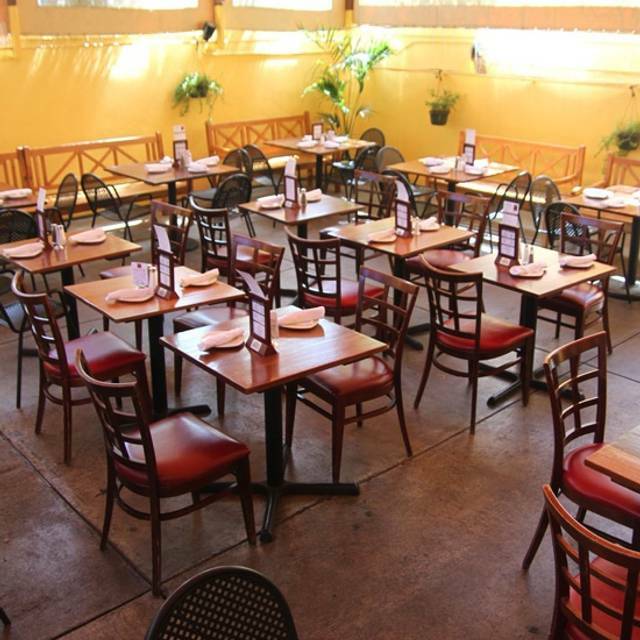 Our restaurant is located in the heart of downtown in close proximity to the convention center and all the major hotels. Loft is available for private parties, corporate events, meetings, dinners, luncheons, with seating up to 250.All dining areas can be reserved privately or the entire restaurant for a buyout. Great food, quick service and free birthday cheesecake. Much mahalo. The kitchen was very slow! I also thought the prices were very high for the quality of the food. The server tried to make up for it by comping some beverages which we appreciated. Great place for a delicious meal and excellent value. Our experiences with the attentive and courteous staff have been delightful. We plan to return whenever a performance in one of the nearby venues draws us to an evening in San Jose. The guard outside didn't recognize opentable or my booking. Nobody was there to go to for us. It ruined my date. Very bad exeprience. Restaurants dont even recognize any booking. It did not feel like this place was supposed to be a restaurant. The tables were cramped and they randomly placed about the area. I sat down so close the party next to me I heard their entire conversation it was uncomfortable. Made a reservation for our anniversary Was a little surprised at the small dining space. It was a casual and friendly atmosphere our waitress was reat and the food was delicious- generous potions. I would go back when the weather is warmer and checkout the rooftop dining with some friends. Perfect in all respects, food, service and was easy to make reservations for. They did a great job on Valentines Day, all their efforts paid off! We had a great lunch, which came extremely quickly. Our waiter was quite knowledgeable . My chinese chicken salad was fantastic. Really good food and good service. Nice atmosphere and decor overall. Would absolutely go again. First time at Loft. Last night I paid $9 for a "wedge salad". It was the worst I have ever had at any restaurant in my life. How a place could fail at a wedge salad was mind blowing. It was a beautiful cut of iceburg that was almost completely void of blue cheese and bacon, I mean there was not one actual piece of bacon. It was almost like they were out of bacon and just shook an empty container over the salad and hoped some crumbs would fall out. I wish I had taken a picture so you could really see how sad it was. It didn't occur to me at the time. Very disappointed last night. Doubt I'll be back. Nine of us had dinner/drinks here, for our son’s 27th birthday. Very good food/service/value. Would definitely return. Service was excellent. We went early so hard to say what the noise level and service would be like if it was crowded. Food was tasty but the portions were very small and therefore overpriced. Markup on wine was staggering (we learned later after finding the same bottle at BevMo). I had reservations and they seated us outside, upstairs in a covered porch area. It was Feb. 2nd and raining. Actually it was pouring, so it was very cold and windy with water all over the floor. When we asked to be moved to another table inside we were told that all the empty tables inside where for reservations. Had we not needed to eat quickly to get to a Sharks game, we would have left. When we finished our meal, there were still empty tables inside. With amazing restaurants in San Jose, we will not ever be returning to this place. The food was good overall: I highly recommend the carnitas tacos appetizer! Cocktails were delicious, but a bit small. The Friday night we went, there seemed to be a large party upstairs, and there was only one server downstairs for over 7 tables, one being a larger group. I felt for her; it was busy, she was doing her best, but our service definitely suffered. Particularly when one of the dishes’ fries were ice cold, and it took until we were nearly done with our meals for our server to be informed and to get a fresh batch to us. I saw the host staff messing around on their phone and chatting with people they knew, but not bothering to help their team, even when we were trying to get someone’s attention. Food was excellent and the staff were great! I'd go back again anytime. We were there on a date night. Dinner was nice, and their drinks are good. I am not a big drinker, but they don't water down their mixed drinks which is nice. We enjoyed the overall ambiance and experience. This is a great place for a casual dinner before a show. We had tickets to the SJ Improv so it couldn't have worked out better. Our server was the highlight of our dinner as she was friendly, authentic, and honest. 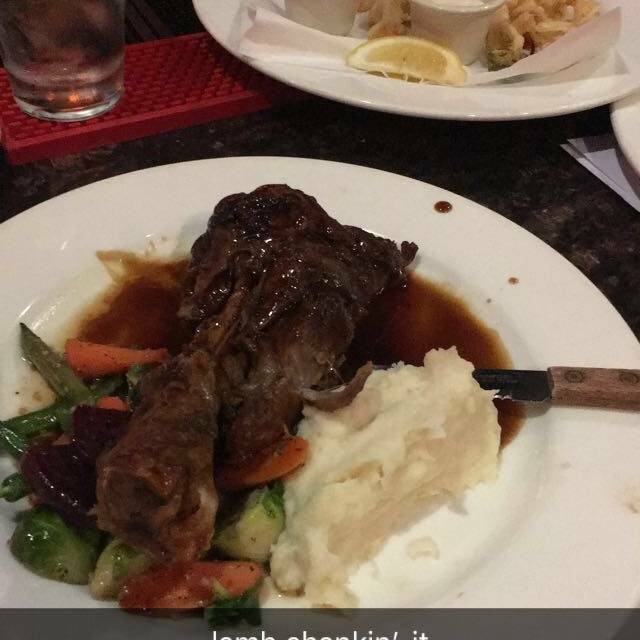 I had the lamb shank but I wasn't crazy about the gravy like sauce. They have an ecclectic menu and great drinks with an ambiance that is lively and fun. I would recommend the Loft for anyone looking for a great complement to a SJ Downtown outing or a night out. You won't be disappointed. New years eve was chaotic. Food & drinks were substandard and overpriced. Waiters seemed impatient and unhelpful. Won't come back. We love this place! I love their mozzarella, tomato and pistachio salad as well as their Chicken Picatta!! We booked a reservation on open table looked at your menu and thought it was very good but to our surprise when we were seated you had a limited New Years menu and prices were higher you should have posted something on your website, my wife was very disappointed she had see something on your regular menu which was not on your limited menu. We ate at the Loft twice in the last two weeks. The first time (12/23) they were having a special event upstairs, so the service was a bit slow in the downstairs area. The second time (12/30) we sat at a nice table adjacent to the window upstairs, where it was very quiet. Our server, Nicole, took great care of us, making sure that we enjoyed our meal and our wine. 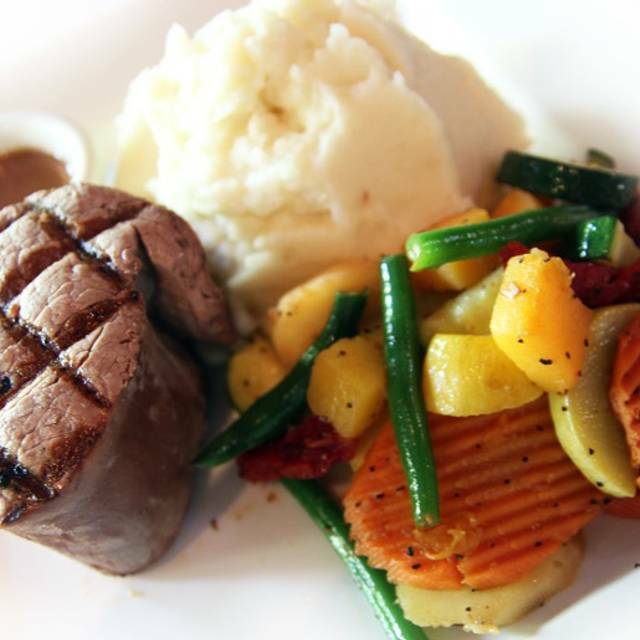 The food is reasonably priced for downtown, and there seem to be choices to please everyone. The salads are large enough to split as a starter. We enjoyed the salmon and the skewered shrimp, both served with nicely cooked veggies. 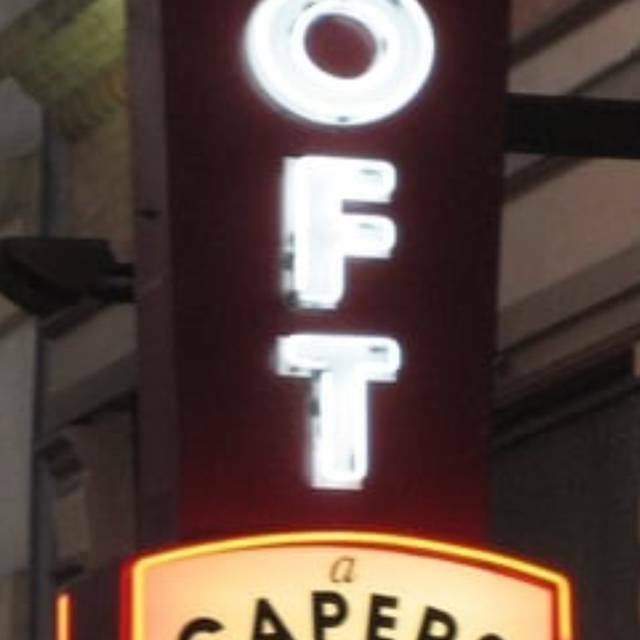 The Loft will be our new "go-to" when we are in downtown San Jose. Maybe I picked a bad night during just before the holidays but this was a disaster. Service was terrible, slow and totally lacked caring while some staff stood around. The food was poor, my steak was wiry and my fries were cold. None of the rest of my party fared much better. It was a total disaster. I will never go back again. They were carrying food from the first floor down to the ground floor down the stairs on trays. Seriously? A total disaster. Great service, mediocre food. I would recommend it for an easy place for groups. Consistently good service, food quality and value. Had dinner with friends, and food was great, service was excellent and drinks were tasty! A friend flew in for a few days and the Loft was the place to go with the food and beverages being very tasty. It didn't hurt the manager, Adrian, was as charismatic as the first an only other time I was at the Loft. 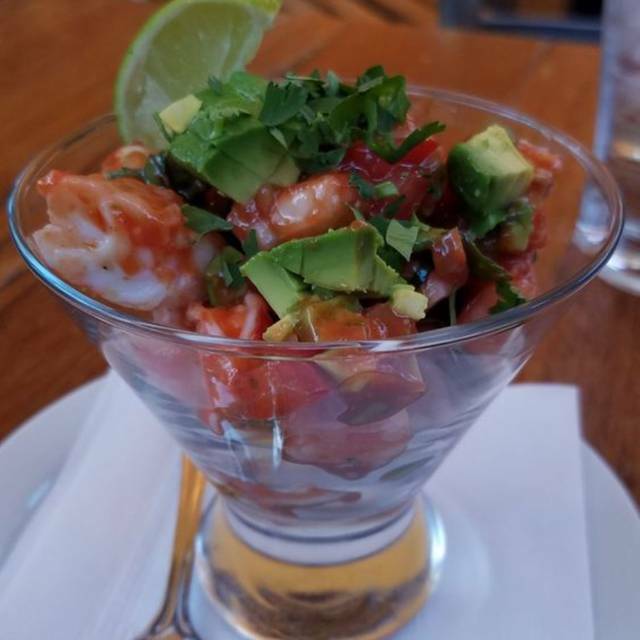 I started with a Moscow Mule, which was made to perfection at the downstairs bar and had a glass of their Zinfandel by the glass with dinner and dessert. We REALLY enjoyed the grilled shrimp appetizer, but, felt the crab cakes needed a sauce to liven them up. Our small group of three had lamb shank, short ribs and chicken Parmesan shared between us all were really good, but, not exceptional. The desserts we partook in were the chocolate mousse and creme brulee which were very delicious. All and all it was a wonderful dining experience. Great food and surprisingly quiet for a Friday evening, we really enjoyed the fun atmosphere and awesome service. Thank you! I was looking forward to a delicious dinner before a show. Wow, the food was terrible. The soup tasted out of a can, the salad was bland, and there was a hair in my salad which turned me off. First time dining here. Great lunch today! My wife and mother-in-law enjoyed the veggie stir-fry and I enjoyed the filet mignon. We started with the calamari and the onion strings. Good choices, the food was all very good. The roof was great and I liked the trance music. We first came to The Loft in 2010 when we lived in San Jose for a few years. Upon returning to treat a family member to dinner recently, the same wonder short ribs are there with great service. We love the upstairs patio! Outstanding as usual. Came for a late lunch on Sunday and the service was fantastic and friendly, great convo at the bar waiting for my date. Food was excellent. A great "neighborhood gem." We were greeted and seated right away, but when we did not immediately know what we wanted to order, our waiter disappeared for almost 10 minutes. The food took a little while, but was great. We never saw our waiter again. We had to ask the hostess for our check. It appears that our waiter was doubling as one of the 2 bartenders. The place was not busy, but he was having a great time talking to a couple seated at the bar. I will return to a restaurant with mediocre food and great service, but I don’t go to a place with poor service regardless of the food quality. Food was delicious but we were not aware of a different menu being offered for Father's Day. We visit the Loft often and love their standard menu, especially the Chinese Chicken Salad, sliders, garlic fries.. We went expecting to have these favorites that were not available. The menu prices were $10 over standard menu prices. Yes, the food was good . Our disappointment was only with the menu. This will not deter us from visiting again, just not on days with a "special occasion" menu. Also, this menu was not on the website the day before the event so we had no way of knowing ahead of time. Went before a SAP concert based on reviews we expected more I guess. Entrees were pretty basic. Salad was good. Pricing was very reasonable and reflected the level of cuisine. Good for families. Just not for me.